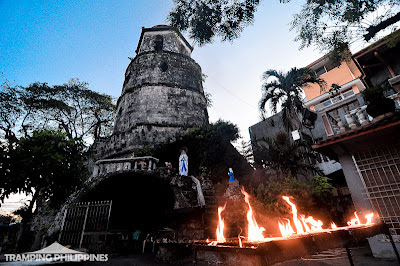 Five months into the preparation of our Negros-Cebu trip, we were yet undecided where to go and what to visit. After hours of strenuous investigation, virtually hugging the internet for places to visit, searching our hearts out for the best spots we could find, we ended up printing every possible destination. Alas! Our backpacking trip was finally set and ready to begin. 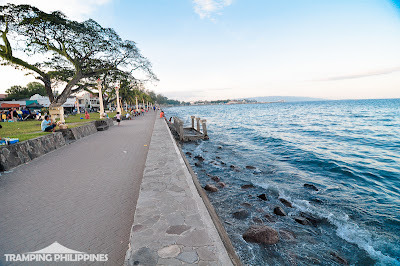 It was about noon when we arrived at Dumaguete City. Right after checking-in at Harold's Mansion, we arranged our stuff raring for our first trip. With only a half-day left for our first day, we opted to visit the nearby twin lakes of Sibulan. With a mere 20-minute bus ride followed by an hour of Habal-habal, we finally arrived at Sibulan. Riding the later transpo in going up the mountains rewarded us with an astonishing view of the nearby islands of Cebu and Siquijor. 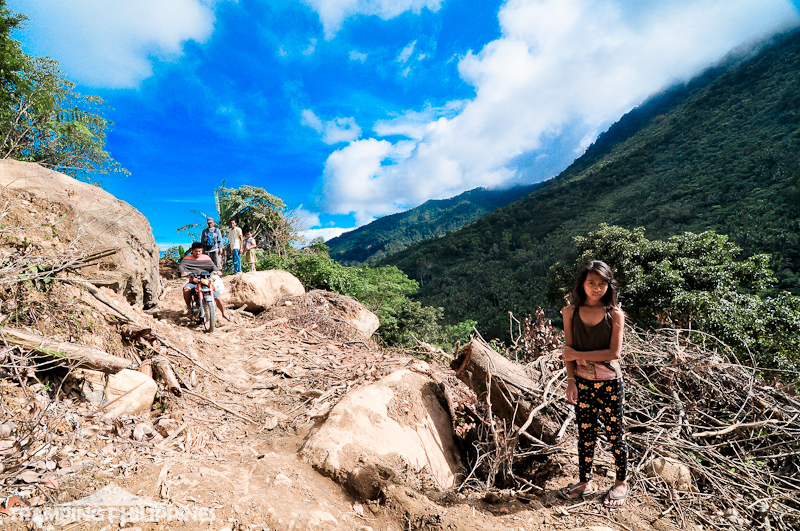 The ride was definitely captivating and fascinating until half way through the trip, we stumbled upon the damage inopportunely left by typhoon Sendong. Almost barricaded by boulders and fallen trees, the road was unsafe even for motorbikes. We were instructed to walk while the Habal-habal was finding a safe trail that would bypass the onslaught-ridden place. 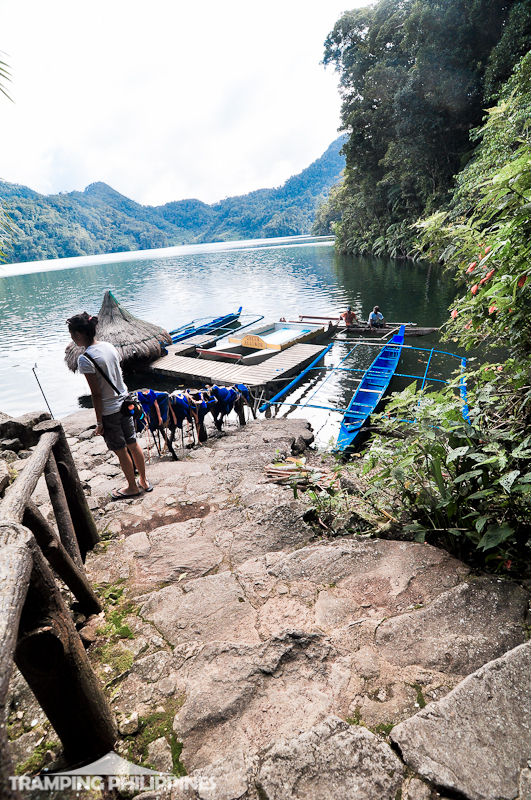 Eventually though, after much bumping and grinding, we finally reached the twin lakes of Sibulan. 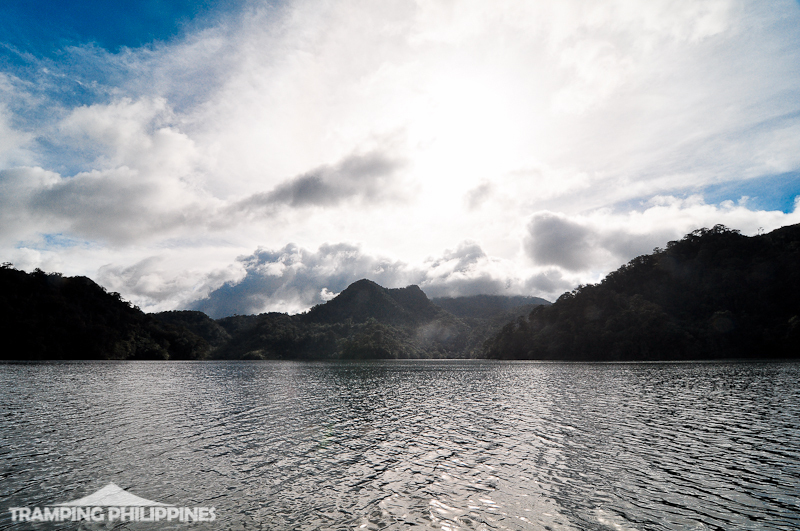 We rented a kayak which cruised through Balinsasayao Lake, all the way to the ridge which separates it from Lake Danao. 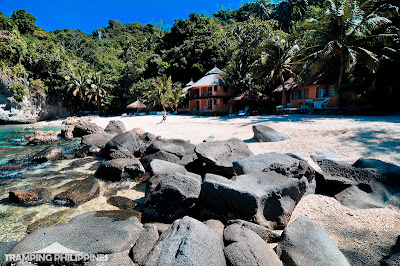 During the boat trip, the first thing that popped into my mind was our unforgettable El Nido trip. The calm fresh waters had a striking resemblance to the calm turquoise waters at the entrance of Masinloc’s big lagoon. It was absolutely mind-numbing. There were no hesitations on our part when our feet took a dip on the clear and taintless body of water. Unlike other lakes I’ve been to, even a simple bath in the lake of Sibulan was really refreshing. Unfortunately, we were pressed for time; if we were there much earlier, we definitely would have had a refreshing dive. 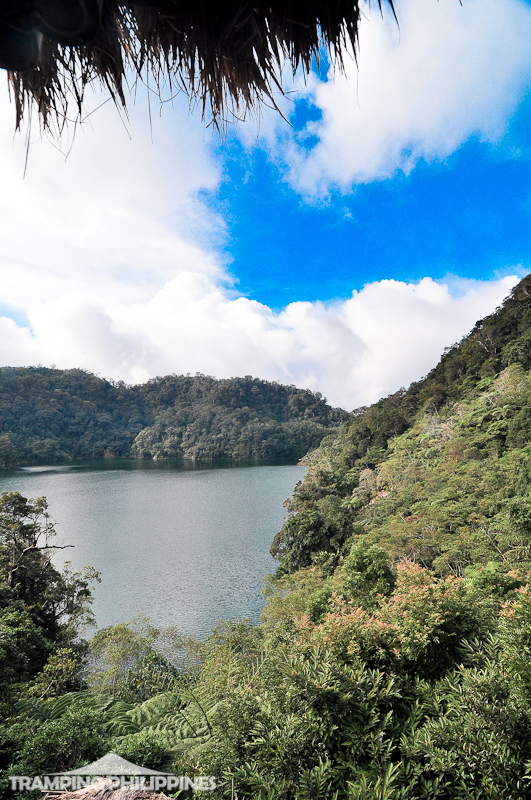 After minutes of paddling through the calm and relaxing lake, we finally reached the ridge. 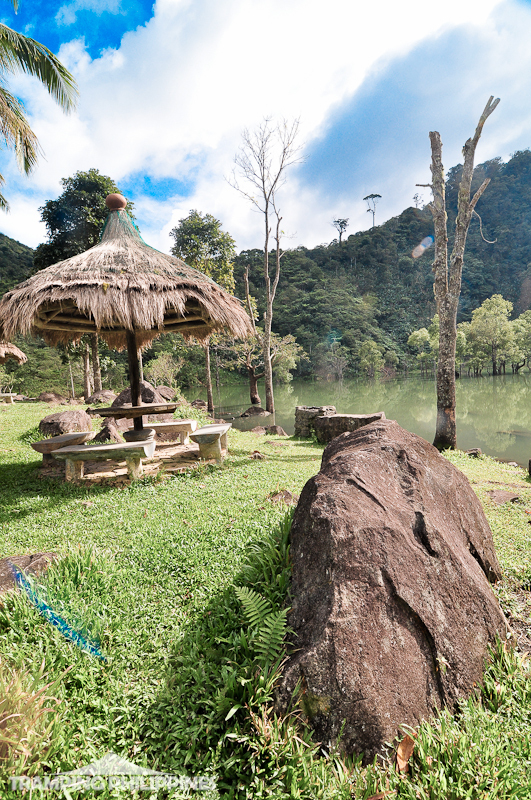 We savoured the tantalizing views offered by the majestic viewpoint. It was nature at its best. After taking photos, we headed back to the jump-off just in time for sunset. The silhouette of the mountains being reflected on serene waters was just spectacular. 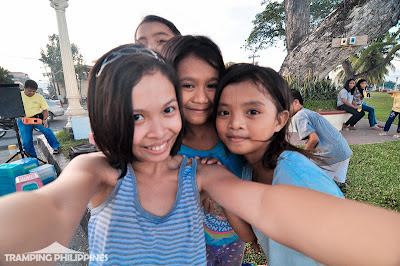 We waved goodbye to the locals we’ve met and rode the bus back to the city. It was a rewarding first day. It can be called an appetizer to the looming Apo Island adventure we would have the next day. We woke up very early to catch the first bus heading south. 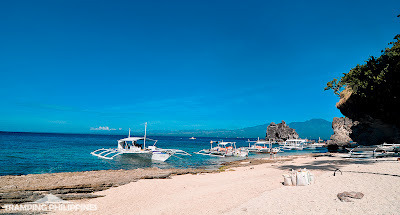 We arrived at Zamboangita after a 45-minute bus ride and luckily, we were able to hitch a ride with other tourists thus making our estimated boat fee to Apo Island much cheaper. 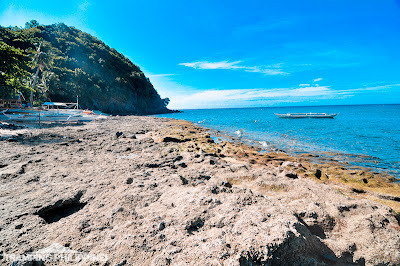 The sea going to Apo Island was rough necessitating adequate waterproofing of our valuables; nevertheless, the sun rising south of our boat gifted us with a great view of the place. It doubled our excitement and tripled the fun. The Island welcomed us with its huge rock formation which according to the locals, grow every year. 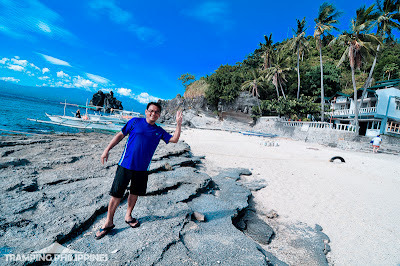 Being one of the best dive spots in the Philippines, we were really looking forward to exploring its underwater world but unfortunately, the damage done by typhoon Sendong was too much, making them close the reef for about a year for coral-rehabilitation purposes. According to the locals, it will take about 30 years for it to be on the same state it had before. 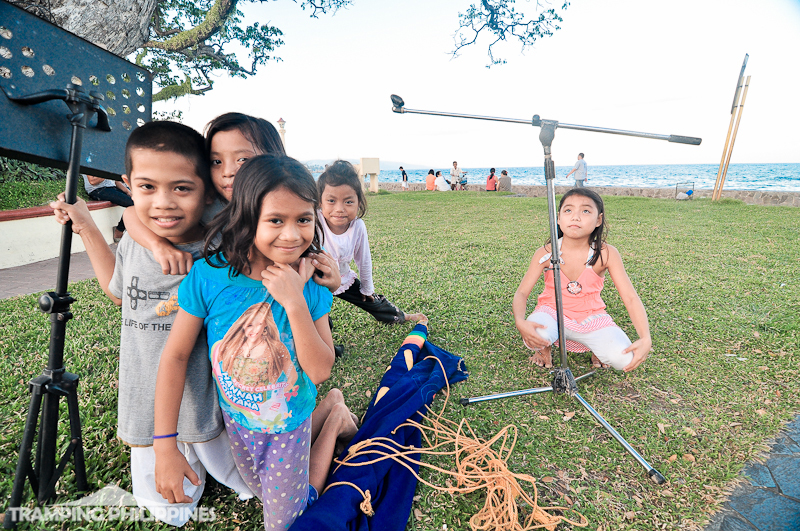 Continuing their stories, they said that before the devastation, snorkelling at the marine park felt like swimming in an aquarium filled with different kinds of aquatic life forms. We could only hope and pray for it to be back to its old state soon. 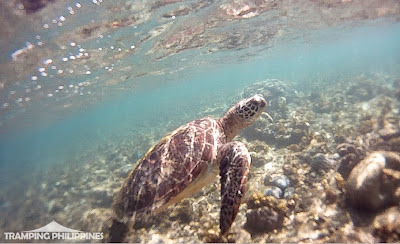 Although the heart-breaking story was told, it didn't lower our enthusiasm for Apo Island. We instantly dived into its water despite having limited space to explore. Colorful fishes still roamed the shore and we even saw a Pawikan having a leisure swim near the beach. We swam and snorkelled until the sun was starting to near the horizon. 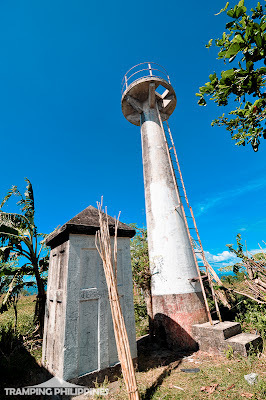 Still giddy from our experience at sea, I hiked the very pleasant trail to the lighthouse. Although beautiful and majestic, the edifice was creepy-enough to make me stay on the ground instead of climbing atop. By the end of the day, we still had the “bitin-factor” running inside our chest. The day tour was too short to bask in the awesomeness of Apo Island but still, it was a great 2nd day of our 4-day Southern Visayas trip. We bid farewell to the friendly locals and went back to Dumaguete for dinner. 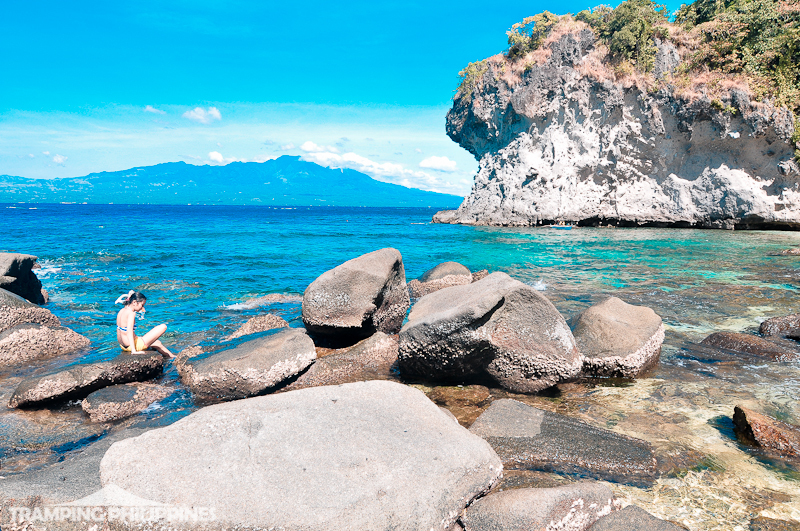 After spending the whole day at Apo Island, the energy of our bodies was still high giving us enough room to roam around the city of Dumaguete. The city itself was easy to navigate making our stroll enjoyable. Having enough time and pep, we ultimately decided to visit the tourist places on foot. 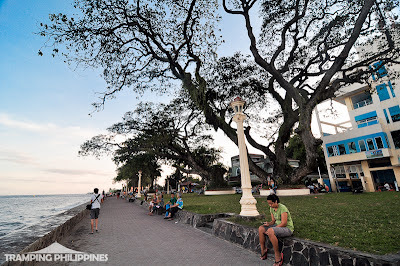 The first destination was the baywalk. Comparing it to our very own Roxas Boulevard, we could not help but wonder how they kept their bay unpolluted and fresh. The place was not cluttered with vendors. 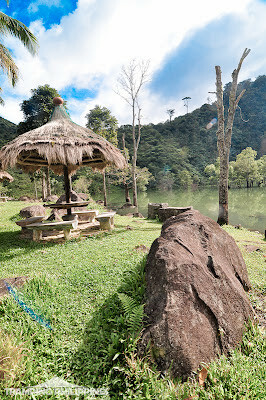 It was an amazing place to have a leisure stroll. For an added bonus, they were able to preserve almost a dozen century-old trees. I’ve seen trees this old from other places but to have a multiple display was one of a kind: very impressive indeed. We passed by the plaza and saw a group of children preparing for a mini-concert. We sat and watched as the younglings performed gracefully while being gently lit by the sunset. The show was a great alternative for kids to learn and have fun. After the show, we went straight to the Dumaguete Cathedral to offer prayers. Harmoniously supplemented by the dancing light coming from the candles, the scene looked surreal. As the sunset made the ambience perfect, it was a perfect time to shoot photos. After the last sun ray disappeared, we walked around the city to find the perfect place to satiate our hunger. 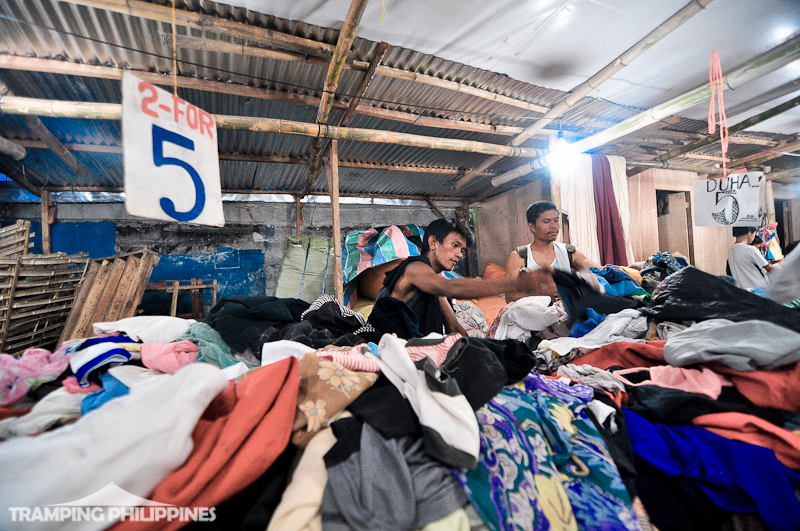 We spotted Bargain stores (Ukay-Ukay) scattered all over the city. I really wanted to look around but my cousin was hungry enough to make me pass the bargains. 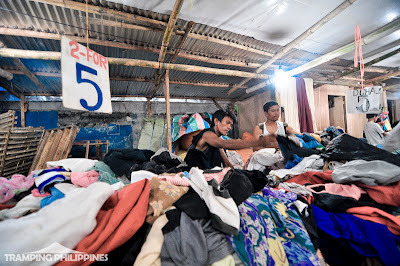 It would really be nice to buy clothes as cheap as 5 pesos but her gurgling stomach was reason enough for us to skip it. After some time walking, we finally found respite at Jo's Inato. 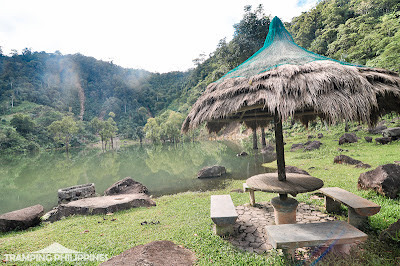 If you're a fan of Mang inasal, you'll definitely enjoy this place. After the sumptuous meal, we went back to Harold’s Mansion to conclude our 2-day Negros Oriental trip. Two days in this paradise seemed too short - that it just passed by so quickly, however browsing through the pictures made us appreciate the rewards that the place gave. It made us thankful and grateful for the astonishing experience we just had and it gave us a good preview of what Negros really had to offer. 2 days were checked and 2 days were still looming from a distance. 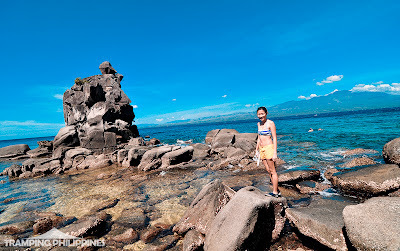 After experiencing the awesomeness of Negros Oriental, I could only hope that our 2-day Southern Cebu adventure would also be all worth it. Board a Dumaguete Bound flight. 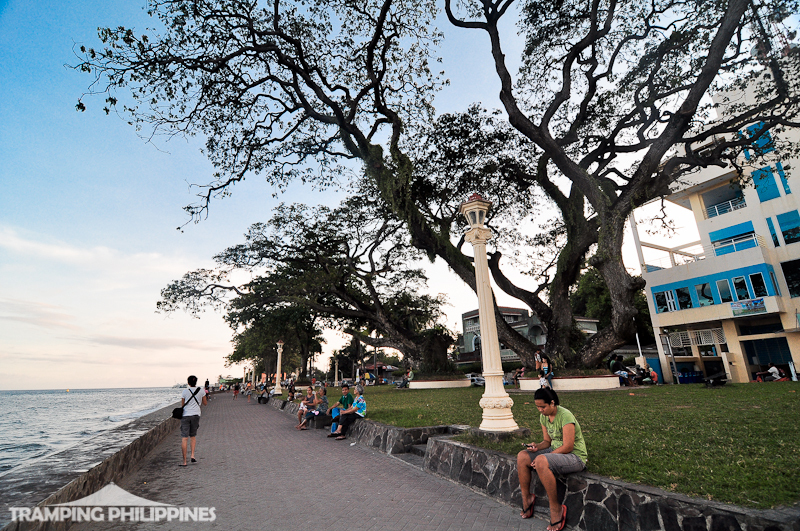 Daily flights from Manila to Dumaguete are serviced by Cebu Pacific, Air Phil Express and Zest Air. 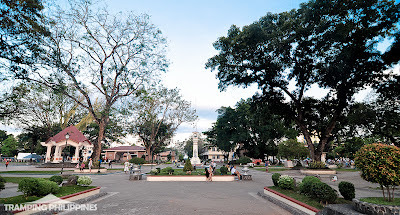 From Dumaguete, board a bus / jeep to Sibulan. 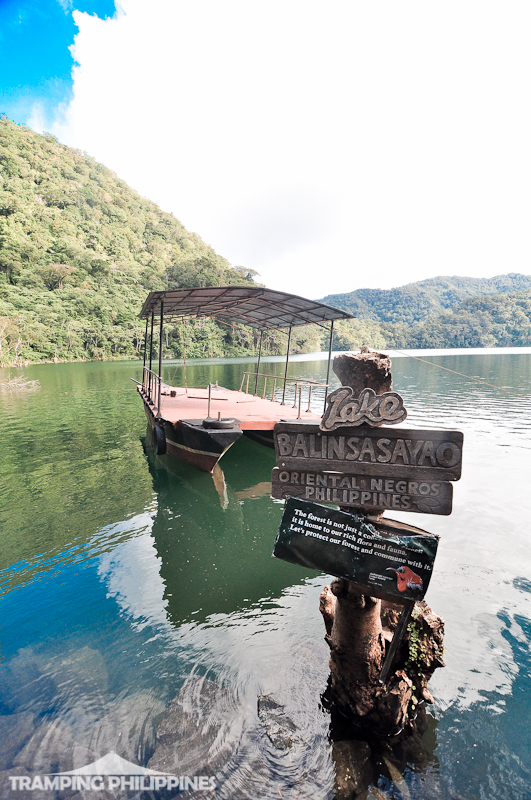 Tell the driver to drop you where you can take a habal-habal to Balinsasayao Lake. 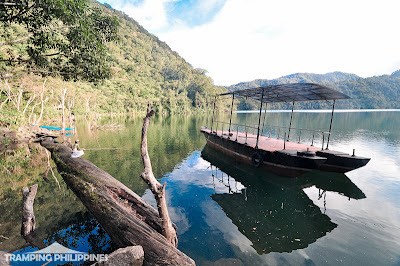 An hour long habal - habal ride will take you to the Twin Lakes. From Dumaguete, go to the South Terminal and board a bus to Zamboangita. Tell the driver to drop you where you can board a boat to Apo Island. 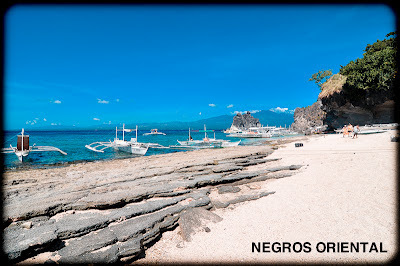 Arrange a boat to Apo Island. 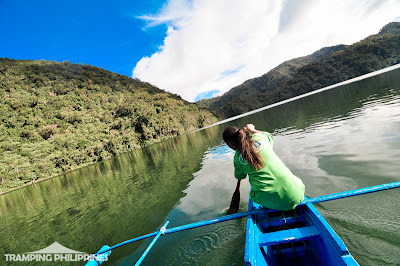 super love this post and the photos are breathtaking! @Doc Wends - Thanks po and really hope to meet you soon!